A graduation is an important accomplishment for someone who’s dedicated their time and passion to many hard years of study. The graduate’s friends and family share in their joy on this special day: when the person graduating is a best friend or a son or daughter, their loved ones organise a party and give meaningful gifts to mark the occasion. How do you choose the perfect graduation gift? A gift for an event as important as this one should reflect the magic of the moment and be a reminder the graduate can keep with them always. Whether it’s a for a guy or a girl, the most relevant gift is the gift of jewellery, and can even be something which recalls their field of study. What is the right graduation gift for a woman or girl? On an occasion as special as this one, the jewel to give is something which forever reminds the graduate of her amazing accomplishment. Are you celebrating your best friend’s graduation? A necklace with a good luck charm and coloured gemstones just may be the perfect gift to wish her a bright future. Or is the special person who’s finishing up their studies actually your sister and you want to surprise her with a unique, original gift for her graduation? 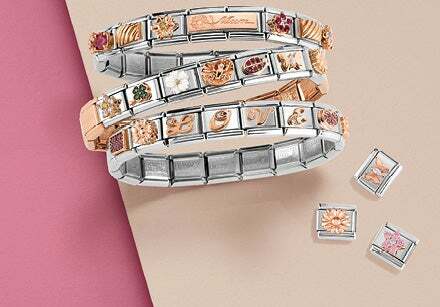 In this case, we suggest you compose a customised bracelet with Links from the Composable Collection: you’ll find tons of graduation themed charms with the graduation cap and precious engravings in gold. Looking for more graduation gift ideas for her? Discover the whole selection dedicated to this important moment: you’ll find elegant earrings, theme bracelets, and Links you can customise with your own personal inscription. And if the graduate is a man or boy, how do you choose the perfect gift for him? Among our jewellery selection you’ll find tons of special graduation gift ideas for guys. Want some examples? 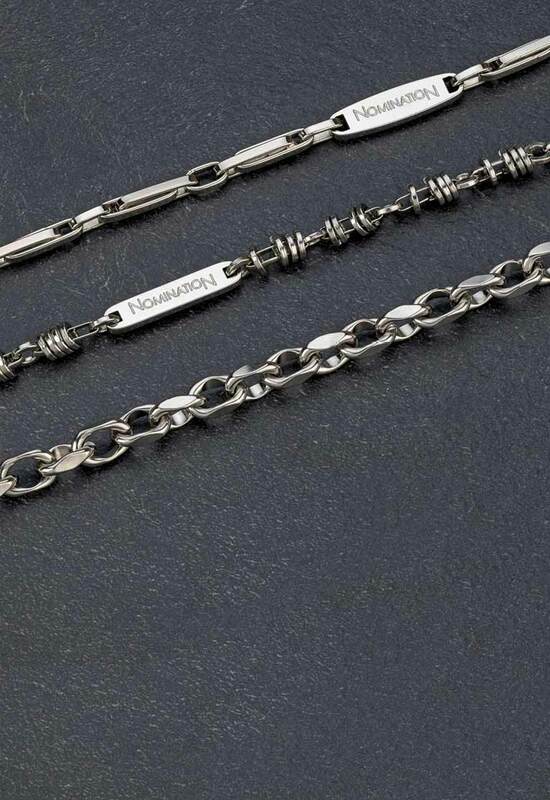 An elegant stainless steel bracelet, or a watch that can be customised with Composable Links. 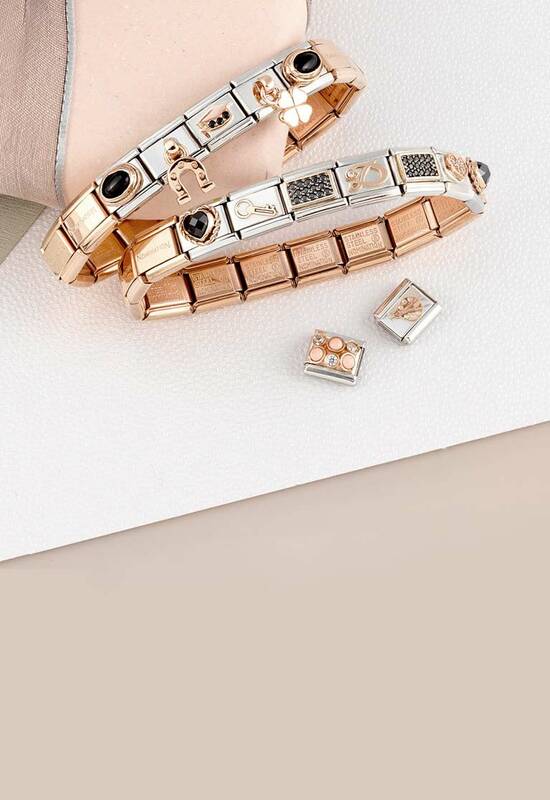 If you’re looking for tips for a graduation gift for your boyfriend, one idea is to compose a bracelet that’s personalised just for him, with symbols that recall not only this special celebration, but which also recall other important moments in your relationship. Looking for the perfect graduation gift for your brother or guy friend? How about a distinguished, stylish bracelet that can be worn on every occasion: like a stainless steel bracelet from the Mixit Collection for men, or one of the latest Trendsetter bracelets with dark Links. 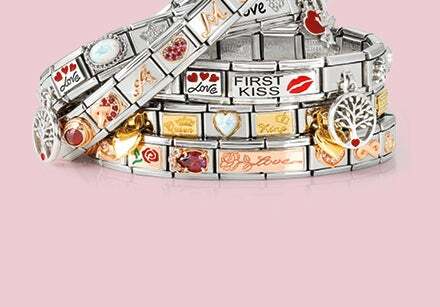 An original gift idea for the graduation of someone special is jewellery with symbols reflecting their course of study. A good gift for a degree in Law is the Composable bracelet adorned with Links decorated with the graduation hat and scroll, symbols which are classic and full of significance. The gift for a degree in Architecture might contain references to the most incredible buildings man has every designed: there are monuments from all over the world decorating lots of Links and charms from the Composable Collection! Someone graduating with a degree in Physical Education and Sports Science definitely loves sports: why not choose sports themed jewellery then? A recent graduate in Engineering or Medicine will soon start a prestigious career: the right jewellery for them in the workplace after graduation? For him, cufflinks, and for her, a chic necklace.